Perpetual disarray and disorder is the order of the day once again in SW6. Rafael Benitez enters the fray as the latest victim of a Russian oligarch’s obsession with perfection, the ninth entrant to the melting pot of managerial casualties that has perpetuated the nine years of the Abramovich era in West London. Roberto Di Matteo’s departure from Chelsea following their 3-0 humbling in Turin was perhaps the most inevitable of all their managerial changes since June 2003. Simultaneously, though, it is perhaps the most unfathomable of the lot, considering its circumstance. The heavily-maligned Luis Felipe Scolari era was afforded just eight months, the chronically out-of-depth Andre Villas-Boas lasted a month longer, yet the encouraging shoots of progress under his Italian predecessor have been cut short at the earliest indication of decline. Aside from Jose Mourinho and Carlo Ancelotti, Chelsea’s interim managers have proven more successful than their permanent counterparts. Avram Grant often resembled a dead-man walking between September 2007 and May 2008 but came a John Terry slip away from claiming the Champions League. Just a year later Guus Hiddink re-energised an alienated Chelsea dressing room as they claimed another FA Cup trophy, but Di Matteo surpassed them both. 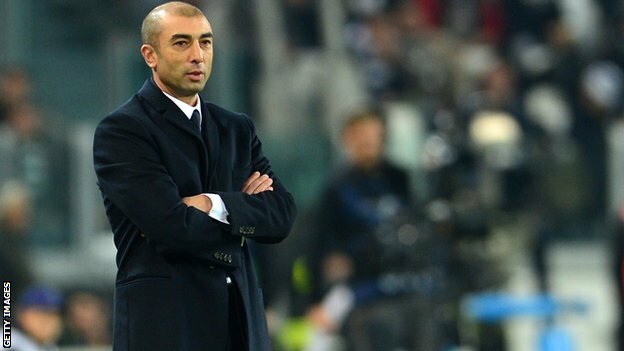 Di Matteo became the victim of his own unimaginable success; the club was in chaotic disarray when he was handed the reins in March earlier this year, now he has a Champions League and FA Cup double to embellish his CV. Such unexpected success backed Abramovich into a corner during the summer. His unsuccessful public courting of Pep Guardiola terminally undermined the eventual appointment of the Italian. The overtly pragmatic approach that Chelsea adopted on the way to their astonishing double last season has been banished into distant memory by the vibrant attacking flair emanating from West London since August. Di Matteo was never likely to be afforded the luxury of orchestrating its long-term fruition, but that he has been jettisoned barely three months into the new season is incomprehensible. As interim-permanent managers go, Di Matteo appeared to be the perfect candidate who would eventually pass the baton to a more illustrious name. Di Matteo’s appointment in June could have been justified had he been granted the season to prepare for the almost inevitable arrival of Guardiola. As it is, a Rafa Benitez shaped grenade, to whom internal politicking is no stranger, has been chucked into the melting inferno. Perhaps Abramovich is concerned at history repeating itself, that the recent decline in Chelsea’s form will spiral uncontrollably into a full-blown epidemic as it it did before with Scolari, and more recently with Ancelotti and Villas-Boas. His concern is understandable given that, in the past few seasons, Chelsea have continually imploded once autumnal optimism has receded into a winter of discontent. On average, since 2010, Chelsea have failed to exceed an average of 2 points per league game between November and February. It always felt that Di Matteo was building a platform at Chelsea, the foundations for a superior manager to build upon. Abramovich has been stalking former Barcelona supremo Guardiola relentlessly since he departed the Nou Camp in May, and his spectre has continually haunted the Italian since. It is a spectre that will now act to undermine current incumbent, Benitez; until, or indeed, if ever, Guardiola were to take up a position at Stamford Bridge, Abramovich’s insatiable thirst for success fuelled by tiki-taka possession will remain unfulfilled. Di Matteo’s tactical limitations had been ruthlessly exposed in recent weeks, particularly in Europe where Chelsea’s new ‘European’ style of football has not transposed well to European football, whilst domestically he has likewise appeared out of his depth. 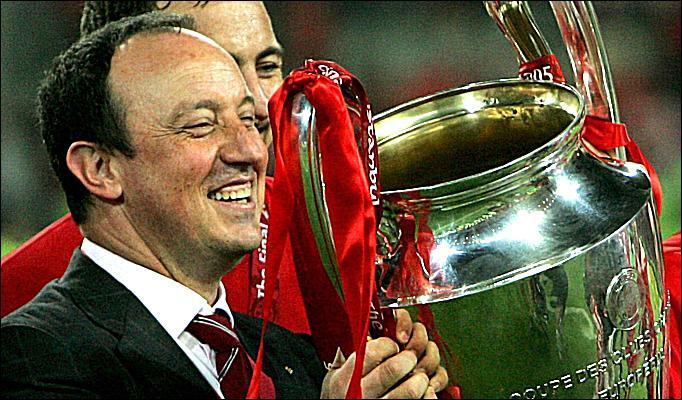 Benitez, on the other hand, is an astute tactician and has proven European pedigree; unfortunately for the Spaniard, he is likely to be trying his hand at Europe’s secondary club tournament, then again he won that trophy with former club Valencia in 2004. Photographic proof that Rafa Benitez is a good manager. Despite Abramovich’s dysfunctional approach to club football management, Chelsea remain one of the most successful clubs of the Premier League era; since 2003 they have won three league titles, four FA Cups, two League Cups and that much coveted Champions League trophy in May. Increasingly that success appears to be in spite of, not due to, the owner’s haphazard knee-jerk reactionism. Up until a month ago Chelsea were playing the most attractive brand of attacking football in the country, whilst sitting atop the Premier League table, with the irresistible triumvirate of Juan Mata, Oscar and Eden Hazard one of the most widely revered in the league, culminating in the 4-2 demolition of Tottenham Hotspur at White Hart Lane. Fast-forward a month and the club’s short-termism is laid bare, the manager behind the shift in footballing emphasis over the summer sacked for a run of just four league games without a win mixed with plummeting fortunes on the continent. But there is a chronic instability that overrides the owner’s perplexing footballing decisions of the last 12 months, even pre-dating the premature dispensing of Ancelotti in May 2011. 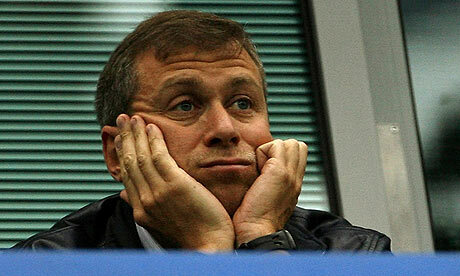 Roman Abramovich and his perpetual pursuit of good football. Six years ago Chelsea had the manager, players and resources to match an ambition that would dominate English football for the next decade. Since then they have won just one Premier League title, losing ground to a Manchester United side in perpetual transition and an emerging Manchester City in the process What would Roman do to transport back to the zenith of his Chelsea tenure in the summer of 2006, in the wake of their second successive procession to a Premier League title? That summer he sanctioned the £30 million purchase of Andriy Shevchenko and the Bosman transfer of Michael Ballack. Whilst ostracizing Jose Mourinho the Russian oligarch became eternally fixated with reaching the pinnacle of European football; but even that is no longer enough, as Di Matteo would testify. In doing so he has sacrificed both the club’s credibility and its long-term aspirations for the impossible goal of ‘Being Barcelona’. This entry was posted in Analysis and opinion and tagged andre villas boas, carlo ancelotti, chelsea, pep guardiola, rafa benitez, roberto di matteo, roman abramovich by James Dutton. Bookmark the permalink.